What type of groups do CaminoWays.com work with? 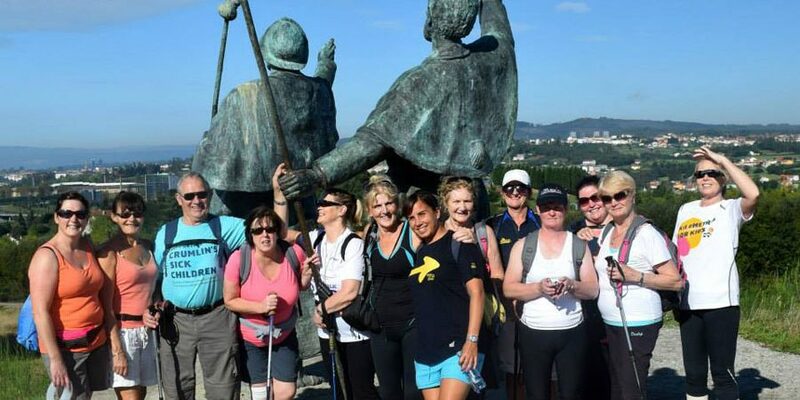 We regularly organise treks for groups on the many Camino de Santiago routes, the Via Francigena – Camino to Rome and other fantastic cycling and walking trails in Ireland and Europe such as Tour du Mont Blanc. What are the best destinations for group tours? What do your group walking trip itineraries include? Our itineraries include accommodation for your group, meals, airport transfers, luggage transfer between hotels on walking days, detailed walking notes and maps and an emergency contact number which you can call any time day or night should you have any issues while on your trip. We can also add day tours and sightseeing for your group. Can you provide tailored itineraries? Yes, we can fully tailor and adapt your itinerary to suit the needs of your group. We can also provide a full consultancy to help you choose the best route for your group and discuss your group’s specific needs. Can we have a guide? Yes, if you feel your group trip could be made better by the presence of a local guide we can provide one for you and your group. We recommend a guide for any group with 15 or more people. Do we have to walk with the guide? If your group decides to have a guide, you don’t need to stay with the guide throughout your walk. As groups are made up of people who walk at different speeds, the guide will move back and forth through the group to ensure everyone’s needs are tended to. They will also look to give more attention to those at the back of the group, but for those who wish to walk faster, there is no need to stay with the guide. Can you come to speak to my group? Yes, if your group is based anywhere in Ireland we can come to visit you to discuss your group tour in more details. For groups based outside of Ireland we can arrange a Skype call. For groups of 15+ we include both breakfasts and dinners. We do not provide lunches during your walking tour as good lunches can be found at the numerous cafes along the routes. Smaller groups may choose to tailor their itinerary further and just include breakfast. What are the hotels and rooms like? Our standard tours include good quality 3 star hotels with friendly staff. We also offer 4 star and 5 star hotels if you would like to upgrade for some or all of your trip. All rooms are en-suite and we offer single rooms (1 single bed), twin sharing rooms (2 single beds in the room) or double sharing rooms (1 double bed). Availability of single rooms may be limited due to availability to 2 singles per 10 persons travelling. How do luggage transfers work? Once you confirm your trip we will send you luggage tags for your group which each person needs to place on their bag. Each morning before you begin your walk, you need to place your bag downstairs at reception in the hotel. The bag will be collected by the luggage transporter and brought to the next hotel where it will be waiting by the time you arrive at the end of your days walk. Do you offer discounts for group tours? As standard we offer a 12% discount for groups of more than 10 persons. Further discounts may also apply is your group is above 20 people. Free places may also be made available depending on the size of your group. Contact us for more information. How large can our group be? We handle groups of between 10 and 120 persons. We can also take groups of less than 10, but the group discount applied may be less than the 12% mentioned above. 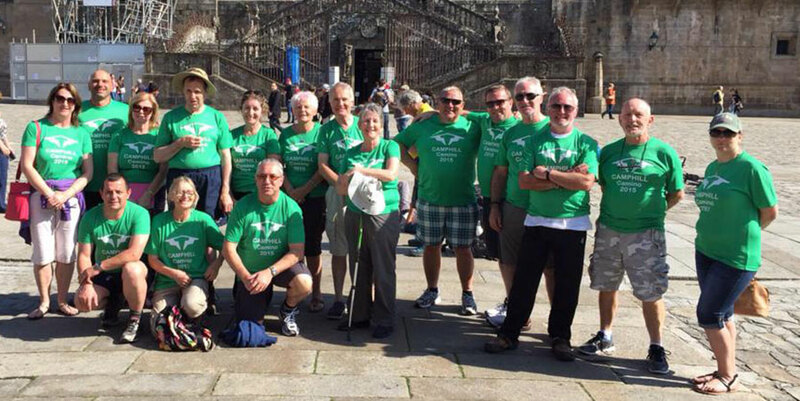 To make your group trip run more smoothly we can offer airport transfers from any Spanish airport to the start and finish point of any Camino trip. Similarly, we can arrange airport transfers for group tours on our routes in other countries (Portugal, Italy, France, etc.) and can advise you on which airport it is best to fly to and from. Once you have confirmed your trip, payments can either be made to us through the group leader or organisation, or members of your group can pay individually. Payment can be taken over the phone or using our online booking form. If paying individually, the deposit for most trips will be €180 per person (this may be a slightly bigger amount for longer tours). If the organisation or group leader is paying directly, the deposits will generally be 20% of the total trip cost. Do you offer fitness advice to groups travelling on the Camino? A keen hiker, Groups Specialist Martin has trekked in the Alps, the Himalayas, Corsica and many great routes throughout Ireland. Martin is from Tramore in Ireland's ‘Sunny South East’ and has travelled extensively in Europe, Asia and other interesting locations.